OZ MUSIC LEGENDS: Janice Slater is Doin' Great!. Janice Slater is Doin' Great!. 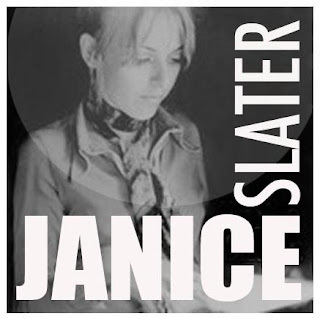 Currently, a vocal coach, composer, sound designer and script editor, Janice Slater has worked with many, many music legends including Johnny O’Keefe, Col Joy & the Joye Boys, The Easybeats, Cold Chisel, Sammy Davis Jnr, Bobby Day, George Chakaris (West Side Story) Lesley Gore, Billy Preston, Shirley Bassey, The Hollies - Lou Rawls, Trini Lopez, The Four Tops, The Three Degrees, Phil Silvers. In the UK she worked with Cliff Richard, Olivia Newton John, Cilla Black, Petula Clark, Cleo Laine and Frankie Miller. In Australia she recorded with Billy Thorpe (It's Almost Summer) Cold Chisel (Northbound Train) Alison MacCallum, Kevin Johnston, Mike McClelland, John Robinson, John English, Anne Kirkpatrick, Dan Jonston.